We hope that you and your child will enjoy your time at Kingdom Pre-School. We look forward to getting to know you and to working closely with you to ensure that your child’s experiences are happy and stimulating. We understand that attending a pre-school plays an important role in furthering and supporting the work that parents and carers have begun with their child’s education. For visitors, what may sometimes appear as a large playroom is in fact a carefully structured environment in which pre-school staff, encourage and help direct a child’s natural curiosity into all kinds of learning activities. 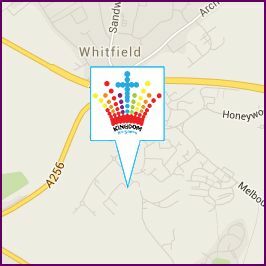 We hope to provide you with all the information you need to help you as your child starts at Kingdom Pre-School. If you have any further questions about any areas not included on this website, please ask your child’s teacher or the Setting Manager. We welcome any questions and comments on your child’s wellbeing and progress while they are in our care. All of us at Kingdom Pre-School look forward to working in partnership with you as parents to ensure that this important stage in your child’s development is full of experiences and activities that allow each child to develop their full and unique potential.